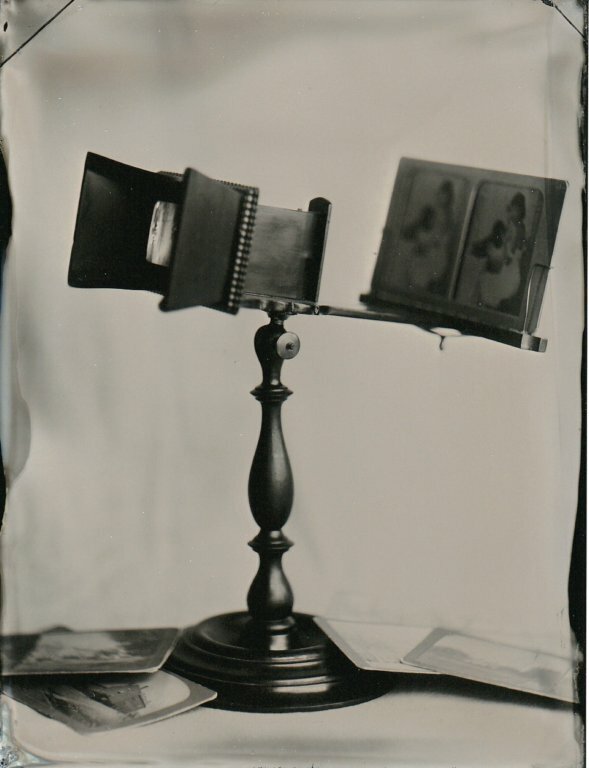 Pedestal stereoviewer by Quirolo, ca. 1874. 4x5 tintype.